The faculty and staff of the University Libraries wish you pleasant and relaxing Winter Break and a happy New Year! Congratulations to the December 2014 graduates and their families. For our interim hours, please click here. Don’t forget to visit our exhibition, “From Active Duty to Veteran: Honoring Military Service in America,” on view in the rotunda and on the fourth floor of McWherter Library until January 16. 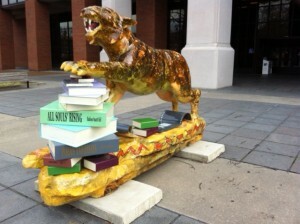 The Libraries continues to encourage and support undergraduate research at the University of Memphis. 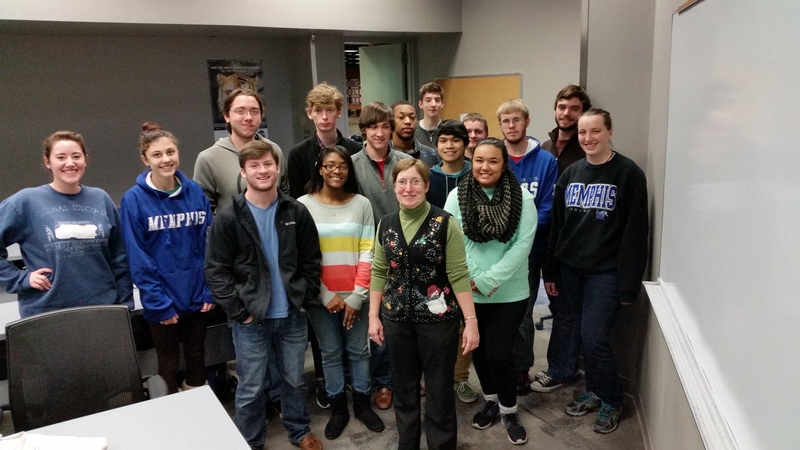 This semester, the Libraries was part of two honors research forums taught by Dr. Pam Dennis and Cody Behles. Professor Dennis’ class, “Surviving the Research Blues: A Historical Approach,” focused on local history and civil rights issues. The students consulted the Libraries’ special collections and other primary resources to inform their final projects, which they presented at the December meeting of the West Tennessee Historical Society. Professor Behles introduced his students to issues concerning scholarly communication in the 21st century. The class spent time in the Memphis and Shelby County Room at the Memphis Public Library examining and mapping communication networks of Memphians throughout history. For more information about undergraduate research on campus, visit the web site of QuaesitUM, a peer-reviewed annual publication that showcases students’ work in all disciplines. We’re pleased to announce we have subscribed to Browzine, an app which allows users to access our paid electronic periodical content through their mobile devices in a display that emulates physical bookshelves. Thank you to all across campus who participated in the trial; your feedback was appreciated. If you have not already, download the app and follow these instructions to start browsing the Libraries’ collection of journals! Feel free to contact Cody Behles (cbehles@memphis.edu) with any questions. Finally, the University Libraries is thrilled to welcome Athena the tigress back to her home in front of McWherter Library. Athena had been away receiving much needed repairs, and she returns to the University of Memphis as a powerful symbol of wisdom. We thank artist Pam Cobb and the Friends of the University Libraries for their generous support of her care. We look forward to serving our University of Memphis communities in 2015!